Portable heavy duty reinforced elliptical aluminium football goals. Manufactured from 100mm x 110mm. White powder coated finish. Supplied with lock- on nylon safety net hooks. 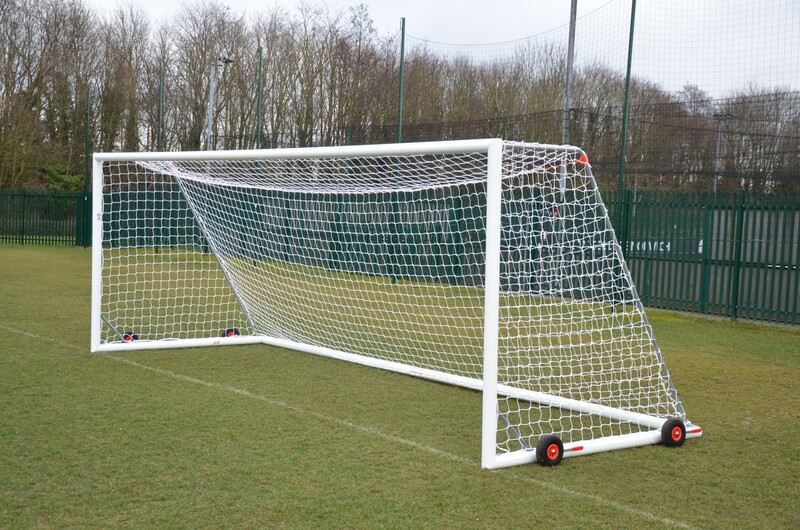 These goals have full international net supports and 3mm white football nets with 2.4m runback. These goals are supplied with a set of easy lift puncture proof wheels (4 per goal). They require secure anchorage to comply with current standards. Junior Size: 6.4m x 2.13m. Senior Size: 7.32m x 2.44m.